Despite appalling and misguided federal efforts to hold back marijuana businesses, the industry continues to blaze trails with expanded marijuana laws and opportunities, clearing away for progress and reason to prevail. The latest example comes out of Colorado, where the state is looking to get rid of residency requirements for marijuana businesses. 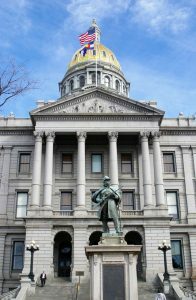 House Bill 18-1011 would allow non-Colorado residents and publicly traded companies own a stake in state-licensed businesses as well as make investments. Right now ownership for non-residents is limited to 15 people. A bi-partisan group of legislators is leading the charge on the bill, which they said will not only attract more investments in the state, but also allow local businesses to be publicly traded, according to The Cannabist. Officials said Colorado law is causing the state to fall behind roughly a dozen other states that no longer have such limitations. Indeed, California already rid itself of residency restrictions with the creation of Medicinal and Adult-Use Cannabis Regulation and Safety Act in June 2017. The act combined the Adult Use of Marijuana Act and the Medical Cannabis Regulation and Safety Act in an effort to consolidate regulations and laws governing medical and recreational marijuana. Many regulations carried over from the two previous acts, but one notable change was the removal of a rule in AUMA to prohibit licenses from being issued to non-California residents until Dec. 31, 2019. While residency restrictions can help protect small in-state businesses, our experienced Orange County marijuana business lawyers also know they can stifle investments and growth. With proper protections and rules that favor small business development, both small and large businesses can live in harmony. Plus in-state businesses that are doing well have the opportunity to get a boost by becoming publicly traded. Many local businesses lamented how much money they see being invested outside of Colorado and saw this bill as an opportunity to redirect cash flow back into the state. Others are worried the state is pushing its luck. With marijuana still firmly planted as a Schedule I narcotic according to Controlled Substances Act, 21 U.S.C. Section 812, some industry leaders already feel like they are walking around with a target on their backs. They worry opening up interstate channels of business is poking the bear. However, as the cannabis industry continues to grow, creating more jobs, garnering more tax revenue, increasing awareness, and expanding access to hundreds of thousands of Americans, public opinion will continue to shift. And public outcry will continue to grow to the point that the federal government can no longer ignore the voice of the people. Measures like this in Colorado are another step in the right direction. Even though we all have a cautious eye on Attorney General Jeff Sessions and the Justice Department, it’s still an exciting time to be a marijuana business owner. Our skilled attorneys can help California entrepreneurs set up their businesses to be in compliance with state and local laws while keeping an eye on movement at the federal level. We remain vigilant, staying up to date on the day-to-day movement in marijuana law from your local city council to Washington, D.C. and everywhere in between so you can focus on running your business.